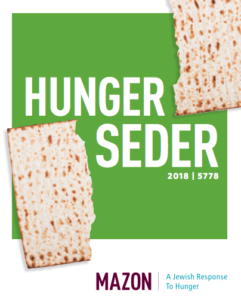 Here you can find readings that range from current social justice issues to a Haggadah for interfaith families. If you have questions, feel free to email Debbie Bram, Director of Jewish Life and Learning at [email protected]. Wishing you and your family a meaningful Passover. 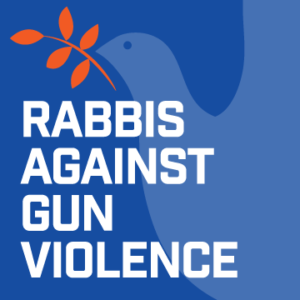 This Haggadah helps us focus our attention to the issues in our country related to gun violence. Our own Stan Shanker is quoted in this Haggadah that focuses our attention on immigration and refugee issues. 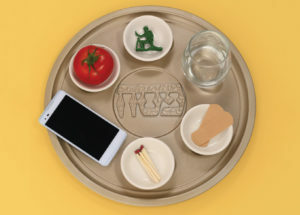 “Let all who are hungry come and eat.” Mazon: A Jewish Response to Hunger not only has a supplement and a 5th question for this year, but also invites us to think about asking people to contribute at our seder table for a donation to send to Mazon. The Wandering is Over Haggadah is great for interfaith families. A banana representing the plight of refugees fleeing tyranny. A pineapple representing a need to focus on mental health. Fair Trade chocolate to represent human working conditions and a liveable wage. Pick one or more additions to raise awareness at your seder.